Like all of their LPs, the Beatles' White Album has been pressed over and over again, meaning the old vinyl copy sitting in your garage is likely not worth anything. Unless, like drummer Ringo Starr, you've got copy 0000001. As previously reported, Starr is currently selling the very first copy of the album through auction house Julien's. As you'll see above, the LP has its impressive number pressed right onto its jacket cover. 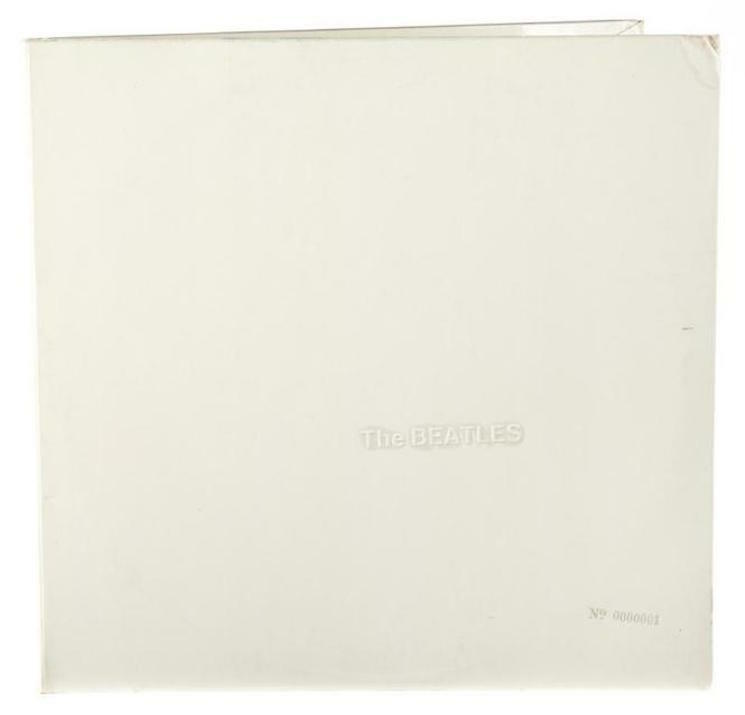 Each copy of the 1968 album initially came with its own serial number stamped on the cover, and the first four copies of the White Album belonged to each of the four Beatles. It was always believed that John Lennon owned No. 1 until Ringo Starr pulled it out for this auction. He had apparently been storing it in a London bank vault. The album is estimated to sell for up to $60,000 US at the auction, which takes place December 3 to 5. No. 0000005 sold at an auction in 2008 for around $30,000.